13 Ways to Increase Your Site Speed - Illusive Design Inc.
Loading speed of any website is a very crucial feature. You can provide a positive experience to your site’s visitors by optimizing the load time of your webpages. Of course, you cannot just compromise the look, content, and functionality of your pages, so you need the right balance. If you want your site to appear in organic search results, you need to have the best balance. If you have a slow loading speed, chances are very high that you will lose your site’s visitors to your competitors. 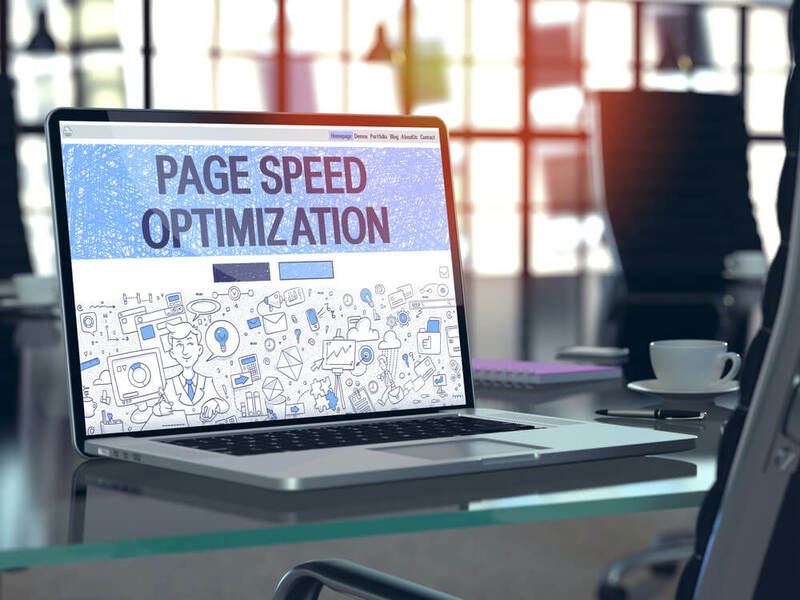 According to Aberdeen Group, a one second delay in page load time will result in 11% fewer page views and 16% decrease in customer satisfaction. Another study from Akamai found that 47% people want a page to load in two seconds or less. 40% will leave a web page if it takes more than three seconds to load. Amazon reported a 1% rise in revenues for every 100 milliseconds increase of their site speed. So you can understand how vital loading speed is for your website. The first and foremost thing you need to do is be clear about what you currently have and what you want. Analyze your target audience, their needs and find out how much your site is meeting their needs. If your target audience is usual retail customers, and your page load time is two-thirds of a second or less, then you are on the winning side. But if it takes up to ten seconds in a browser before a customer can get through, you need to make changes. Once all the images are loaded, your page will start appearing on the browser. If you mention the image dimensions, it will easily cover other non-replaceable elements. If you fail to mention the dimensions, the browser will rearrange the pages once all the images are downloaded. This will definitely increase your page loading times. So you need to specify the height and width tags in elements. The easiest yet effective way to reduce load time for your website is to optimize the site’s image sizes. Images take a lot of bandwidths which increases the loading time of the pages. First of all, you need to scale your images appropriately. And you need to scale them down before you upload them to your website. Uploading the full image and later scaling them down with CSS will eventually make the browser load them in full sizes and won’t help in optimizing time. If you have an image which is 2000*2000 pixels and scale it down to 200*200 before uploading it, you would have optimized your site’s loading speed by 10 times. Besides, some images include additional comments and inadequate colors. You should remove the comments and decrease the color depth as much possible. You can use different editor and optimization tools like Photoshop,Smush it,or Online Image Optimizer, tinypng.comto resize and compress the images. These tools will reduce your image sizes somewhere from 25% to 80% without compromising the quality. The best option for you is to useJPEG formats for the images in your website. Besides, you can also use PNG but it might not be fully supported in the older browsers. For GIFs, make sure it is used for smaller and simpler graphics of less than 10*10 pixels. Always avoid using BMP or TIFF formats for your site. If you place your website’s JS and CSS in internal files, your loading time will increase. Besides optimizing page’s loading time, having JS and CSS files externally will allow you to maintain the site easily. Also, you should compress the codes by renaming variable to shorter names which will help you to reduce the size and loading time. This process is called minification. You can use uglify.js for this. If you are using just one CSS stylesheet and no inline CSS, you do have some limitations to follow. Your site’s above-the-fold can load faster and improve visitor’s experience, but the rest of the pages might take a bit longer to load. You can split your CSS into two parts – a short inline part that styles above-the-fold elements and also an external one that can be put off to later or other uses. Avoiding redirects isn’t always possible. But redirects would require you to put up additional HTTP and it will eventually increase the page load time. So you need to try and use the must ones and put them in place. Look for broken links and fix them right away. Use HTTP redirect to send mobile visitors directly to the mobile correspondent URL. In the desktop pages add the markup to spot the mobile equivalent URL and let Googlebot easily notice your mobile pages. Cookies are used for storing data that requires continuing between requests. Every request sends this data if it is big enough it will add to the load time. So you need to get rid of unnecessary cookies or reduce their size to decrease your page load time. If you are using too many plugins on your site, you are slowing it down. Besides, it generates security concerns and frequently causes crashes and further technical problems. You need to deactivate and delete all the unnecessary plugins. Figure out which plugins are harming the site speed and get rid of those plugins to improve your site’s speed. Already recommending to reduce the number of plugins, we can also suggest you use a CMS with built-in social plugins. If you are using CMS like WordPress, often check for updates. But instead of loading the updates on the live website, first, test the updates on a separate server. Your site’s speed can be improved by the software updates. For keeping tabs on you site’s traffic stats, do not use multiple trafficking software. This will harm your site’s speed. If you are using CMS such as WordPress, it is recommended that you either let WordPress run scripts on your page or use Google Analytics, but never both.